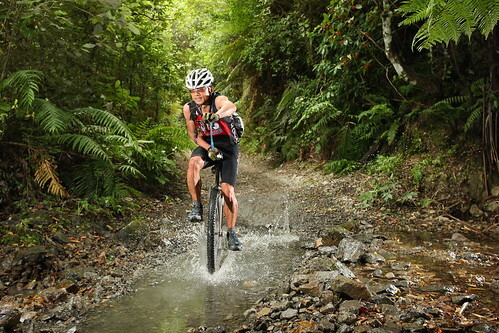 November generally means one thing…Lake Taupo Cycle Challenge! 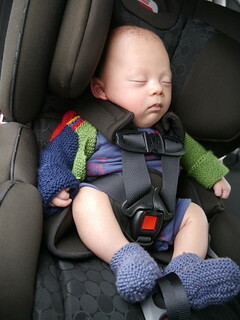 This year was extra special because it was going to be our first road trip with our baby Gryffin Looi. We packed up the car, baby in the back seat…. 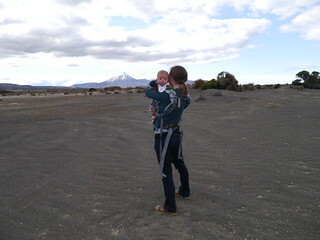 We arrived in Taupo about 7pm. This year I had the number 2 plate (I had stayed up till midnight to register, but missed out on number 1 again!). I won a pump as a spot prize. I had intended to ride my 36, but haven’t got around to replacing the bearings, so it would be another year on the 29. The setup was similar to last year- my Triton 29 with Carbon wheel and 89mm cranks. The main difference would be that I finally get to try out my Mad4One handle saddle. It’s generally not recommended to use a brand new seat for the first time on a 160km race, but I had a quick ride on it beforehand and it felt fine…. I set off in Group 8, which is for riders expecting to take 7- 8.5 hours. Taupo starts with short descent followed by a gradual climb. By the time we hit the top of the first hill I’d overtaken all the bicyclists except for one rider….the gradient is perfect for a unicycle. From there it was lots of rolling ups and downs, and we spent much of the next 80km trading places. It stopped raining for an hour or so, and I was able to knock off the first 80km in under 4 hours. Unfortunately, I had a fall at 70km, wiping out on a bump I didn’t see. There was no major damage apart from some scrapes and bruises, but I started cramping and lost my free spinning speed when I got going again. It started raining and getting quite cold by the time we reached Kuratau, and the legs went on strike. It was a long slow climb and descent before hitting the flat. 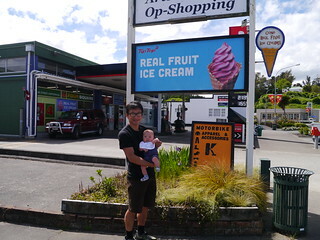 I stopped at the Turangi Z-station for a quick pie before slogging the rest of the way back to Taupo. Apparently it was not a fast year, with few people going under 4hrs. It was amazing to roll into the finishing straight with Anna and Gryffin patiently waiting for me! 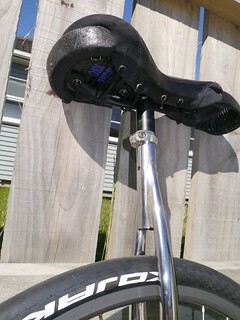 The Mad4One handle saddle (medium) worked well. 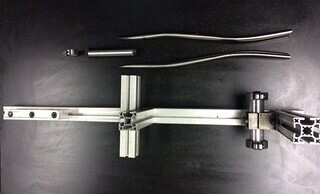 It was very light and easy to maneuver, although I was more used to a lower handle with the Flatfish/T-bar combination. When you ride 160km on a unicycle, any seat is going to hurt. 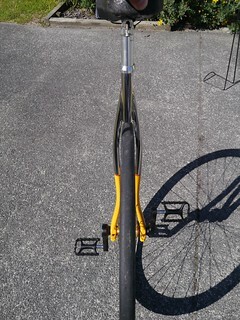 The Mad4One and Flatfish/T-bar are the best setups I’ve used, they just hurt in different places. I had more wrist pain with the Mad4One, because the upright position forced my wrist to abduct for prolonged period. On the other hand, without the plastic base of the KH style saddle, I didn’t get sore palms from pushing down with my hands. I have to ride it a bit more to form a stronger opinion, but I think the Mad4One would be a good medium distance saddle, whereas I prefer the KH/Flatfish for shorter distances, and perhaps the KH/Flatfish/T-Bar combo for longer distance. I had the pleasure of timekeeping yesterday for Mirjam Lips (Switzerland), who was attempting the womens unicycle hour record at Unicon 18, San Sebastian, Spain. She broke Nadine Wegner’s previous record of 23.65km with a new distance of 27.027km, with a very strong ride on a 400m athletics track. What is the best thing about November? Lake Taupo Cycle Challenge of course! 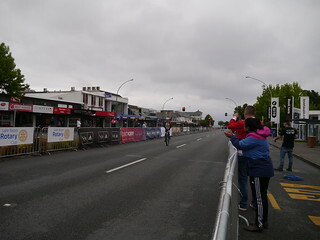 This is New Zealands biggest cycling event, with close to 10,000 people taking part every year. I remember my first in 2003, and if memory serves me right, I have only ever missed one LTCC since then, which would make 2015 my 12th LTCC, and the 10th on a unicycle (I have ridden the two-lap 320km enduro twice, on a bike). The best thing about Taupo is atmosphere- with so many people out there riding and enjoying the views around the Lake, there is always someone to chat to. 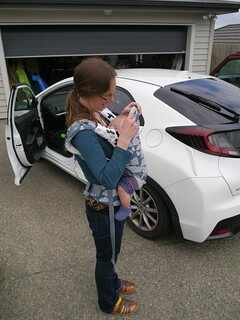 My partner Anna was doing her 2nd LTCC, but this time she would be doing the 80km solo challenge. 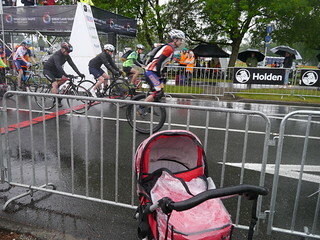 Last year she had ridden the first 2 legs of last years LTCC as part of a relay team, but this was the first time the LTCC organisers have had a 80km category, comprising the second half of the circuit. She was super excited about being able to cross the finish line,especially with another year of riding experience. Her friend Martha was visiting from Italy and also doing the 80km challenge on a mountainbike. 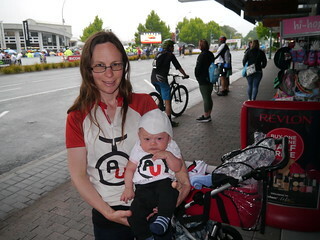 We arrived in Taupo on Friday a bit later than expected, but thankfully still in time to get registered and drop the bike off (it has to be placed on a truck to be taken to the 80km start). Anna would carry her unicycle onto the bus in the morning- the advantage of a compact unicycle. We were staying at Warren Ellery’s place- Taupo unicyclist and upholsteror extraordinaire.. Anna was drooling over Warrens collection of sewing machines. Unfortunately he was away this weekend, but generously donated the use of his house for our LTCC base. After stocking up on some last minute supplies, Anna and Martha cooked up pasta to load up with carbs, whilst I settled for meat pies (hey- you can eat anything you like if you’re going to ride 160km the next day!). We got up early to get Anna and Martha to the start line. Chocolate nutty porridge for breakfast is a perfect way to fuel up! No 6am start like last year- Anna and Martha would be bused to the the 80km transition to ride from there. I dropped them off then came back to set up my unicycle. This would be the first time in many years that I had gone back to the 36″ ungeared unicycle- the original wheel I set my 2004 record on. It was nice to be on a solid, ungeared 36″ again, although I had originally planned to build a lighter 36″ using updated components. Unfortunately there is a limited supply of 36″ rims in the country so it will have to wait till next year! 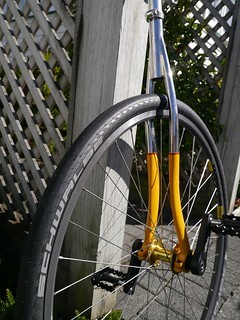 Anna was riding her 26″/110mm unicycle with very large Maxxis Hookworm tyre- one of my favourites. She hadn’t had any experience on bigger wheels so elected to take her trusty 26″. I got to the start line to line up with the Group 8’s (7-8.30hr groups) for the 9am start. It was a smaller field than I expected- which I put down to the earlier start for slower group 9s (6am), which allows them plenty of time to arrive at the finish line. I set off down the hill in light drizzle. It’s a familiar start and something I always look forward to, because after a short downhill, it is a long climb with a slope perfect for a unicycle. By the time I reached the top of the hill, I’d passed all the riders in my start group. We yo-yo’ed back and forth for the next 160km with riders passing me on the downhills and me catching them on the climbs. My legs felt good but I don’t do humidity well- it was drizzling but also very warm. I managed to keep a 20km/hr average, so on track for an 8hr round taupo. The rain cleared and it was a beautiful day. The supporters were out in force, with lots of people on the side of the roads cheering people on. By the time I hit the 80km mark, I knew Anna and Martha would have gotten off to a good start. I had several almond gold slabs to munch on, but I was wishing I had brought a few more savoury snacks. I got over Kuratau Hill- one of my favourite climbs, and it was mostly downhill from there. According to my calculations- if Anna was doing struggling I would catch her as we rounded the lake, or after Hatepe Hill if she was doing great! 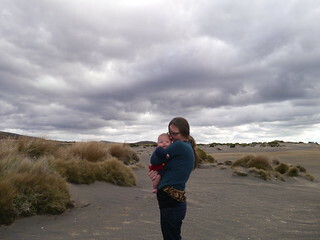 In fact, I didn’t see her at all as I made the final turn into Taupo. At that point I bonked and had to down 3 almond slabs in succession, just to get through the final 10km. I rolled into Taupo in 8hrs 11min 21s, quite a bit slower than my 2004 record, but still respectable (I did 8hrs 20min in 2003). Anna had gone under 7hrs, with a time of 6hrs 58min 15s. 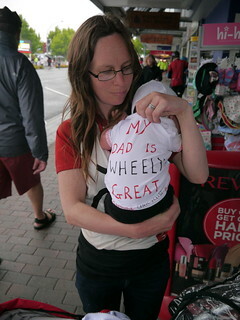 An astounding effort, considering she rode a 26″/110mm unicycle a whole 80km! Martha finished in just over 5hrs, wishing she had done the full 160km race. It was a great weekend of riding and we are looking forward to next years (40th anniversary) event! The 100 mile record has stood for over a quarter century, and is one of the toughest records in unicycling. It has had several attempts on it since Takayuki Koike (Japan) set the record in 1987, and still stands at 6hrs44min22s. On the 9 July, Sam Wakeling and Roger Davies will be attempting the world record. Sam will be riding a geared 36″, while Roger will be attempting the record on an ungeared 36″. You know you’ve been around for a while when you take to the start-line of a mountainbike race, 20yrs after your first one. And what a start line it is- on the banks of the Akatarawa River…your feet are soggy and you’ve had a swim even before hitting the pedals. Back in 1994, as a pimply high-schooler, it was ‘THE’ mountainbike event for anyone who was in to mountainbiking. Not much has changed in the last two decades, except nowadays I ride Karapoti on one wheel rather than two. I have not missed a single Karapoti in the last 10yrs, despite living in Australia. The weapon of choice this year was my trusty Triton titanium unicycle, decked out with 29” KH XC rim, 145mm cranks and 2.25” Racing Ralphs, and the carbon NNC Flatfish saddle. Simple, lightweight and bombproof! I decided to take the Maguras off just before the race, to save a bit of weight and add mud clearance. After racing last few years on a geared Schlumpf- it felt good to get back to the basics…no brakes, no gears, no handlebar, just a fixed wheel. I’m unconvinced a geared hub was a good option anyway, and wiped myself out last year after the cranks came loose and disengaged the hub. Unicycles are meant to be simple machines! There were only two of us racing 2014 Karapoti- local lad Tim Armstrong from Upper Hutt, and myself. Tim is a formidable runner, so I was keen to get as much distance on him up the Karapoti Gorge as possible, which is pretty much how it panned out. After splashing across the Akataratarawa river, I pedalled as fast as I could up the gorge, opening up a gap before hitting the warmup climb. With Tim chasing hard, I put everything into maintaining a flawless spin. My fitness levels were pretty average this year, but much of it depends on how you feel on the day. When we got to Deadwood climb proper, I knew I was having a great day because I just felt happy. Like really happy, instead of wanting to vomit and cry in the same spot every other year. It was a combination of great weather, smooth Karapoti conditions, lightweight unicycle and many things going great in my life right now. Before I knew it, I was diving down the Rock Garden. Instead of gingerly clamouring over boulders, I was skipping my way through lines of mountainbikers….a $10k full suspension bike is no good when someone comes flying past with a unicycle on their shoulder. I got to the bottom of the rock garden having passed several dozen riders, and scrambled over to the Devil Staircase. I was pleasantly surprised there were very few riders cluttering (I mean that in the nicest possible way) the staircase. Karapoti numbers seemed a little down on previous years. This made a perfect opportunity for a speedy climb, rather than ducking and weaving under a carnage of people slipping and sliding with bikes on their heads. I got to the top of the staircase, legs still feeling quite okay, and bombed down Big Ring Boulevard as fast as I could. I was having so much fun that before I knew it, I was at the base of Dopers Hill and tackling the final climb. Tim Armstrong was still nowhere in sight, so I heaved a sigh of relief- I’ve never seen anyone go up Dopers Hill as fast as he did last year. By my split calculations, I was on track for a sub-4hr Karapoti, which would beat my 2005 course record of 4hrs11min. It gave me extra impetus to pedal that bit faster. I was almost on the home straight when disaster struck. Or, more to the point, a pile of rocks I was too lazy as to avoid struck my wheel. The painful hiss of a pinchflat was a little annoying- in the dozen plus times I’ve raced Karapoti, I have only ever flatted in training. Even more annoying was fumbling about trying to get the wheel off. 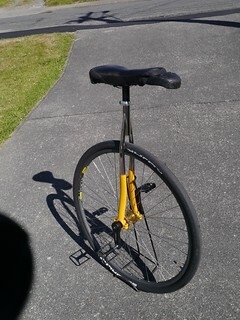 Why hasn’t anyone invented a quick release unicycle wheel? I wasted well over 10min changing the tube, and just as I tightened up the final bolts, Tim Armstrong comes sailing past. A Deja-vu moment as he did the same thing last year when I was fixing another mechanical. I hopped back on to chase him down, only to realise that I had not put enough air in the tyre. The wheel was squirrelling around all over the place! Luckily we were already at the top of Karapoti Gorge. I passed Tim and had to juggle staying in front whilst not pushing too hard over rocks in case of another pinch flat. There were some very close calls as my tyre bottomed out (post-race tyre pressure measured 12 PSI and there was a tear along the tube, luckily not quite a pinch flat). Onto the final sealed road and I knew I was safe, but only had about 100m on Tim. I spun as fast as I could until I reached the Akatarawa River- splashed right into the deep end and ended up swimming. My legs cramped up on the other side, I wasn’t able to remount, with Tim coming up behind me. I sprinted (or waddled/crawled) across the line barely a unicycle length ahead of Tim. 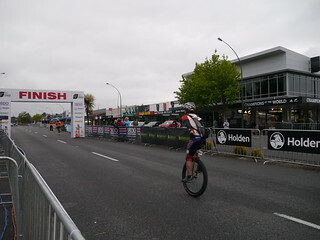 The closest Karapoti unicycle finish ever, in 4hrs14min31s! This was one of the most fun Karapotis I’ve ever done, despite being a little gutted at missing the sub-4hr due to the puncture. It gives me a goal for next year, because I know it’s doable. Tim had taken 25min off his Karapoti PB and was within 3min of the race record…so next year could be the most exciting race yet. This video shows me riding a IUF Standard 24″ racer. 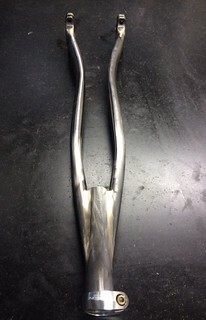 Maximum wheel diameter 618mm, maximum crank length 125mm. Cruising speed in this video is 18-19km/hr, or over 160rpm. High revs can be fun!